Why do you feel the fear of failing, in the first place, in some situations? And what are the situations that aren’t contaminated by that feeling? Analyzing that, allows you to see what is missing when the fear of failing kicks in. And then you can move in the right direction to fill in the missing pieces and leave no space for the fear of failure, without the need to inhibit it or overcome it. Let’s say you need to talk to a group of friends about this great event there will be next week and you KNOW they’ll love it and they will be grateful that you told them, it is safe to suppose that you’d feel good about it. Or perhaps you are a bit in a rush, but you know you are a good driver, so you decide to drive a little bit faster to get there on time, no big deal, you’ve done that many times. Or maybe you just want a snack, so you decide to stand up, go to the fridge, open it and take that delicious thing you were craving for. Would you feel the fear of failing in any of these situations? Probably not. You know’ve never experienced failure in these situations in the past. Or, if you did, you figured out why and how to avoid that. In both cases, You KNOW, that’s the point. But let’s get back to the example with the fridge for a minute. Let’s say that you live in a house with other people who tend to devour everything in their path like locusts. And one day they cross the line: you open the fridge and your snack is gone! If you forget to take measures, next time you’ll be walking there, you might be a bit worried because you suddenly realize that you might not find the snack you were already savoring in your imagination with endorphins happily rushing in your body while you approach the fridge. And then your snack is not there. Again. But since you have much more important thoughts, tasks and problems that occupy your mind, it is likely that you will forget to take measures again. And again. And again. And again. And every time you will approach the fridge, you’ll have that sting of anxiety kicking in (it’s not that important, so it will be just a sting). That’s how the fear of failing begins. Obviously, this is a trivial example, just to make the demonstration of how the mechanism works easier. Nonetheless, it could be labeled as failure by our subconscious mind and trigger an unpleasant associative chain of other failures that are much more significant. And the more they accumulate, the more it gets connected to other associations of failures, resulting in a solid mental construction, on a deeper less consciously controlled level. And let’s say that, next time you crave for a snack because, although you’re on a diet, you had a very bad day: failures at work, you had a fight with your partner or your child, you have too many things to do and not enough time to do them, you discovered a new scratch on your car, your mom called with annoying questions and you snapped back at her, you even started brooding over your overall results in life and how annoyed or stressed or whatever you’ve been lately and you were still thinking about that while approaching the fridge for your snack. And, obviously, it wasn’t there. Again. The final straw. I’m sure you can imagine how it feels. So then you take the time to take measures: you buy more snacks, you hide them, you discourage the serial eaters from devouring your precious snacks, you put a locker on the fridge, you find a substitute snack that gives you even higher levels of pleasure and that nobody else likes or whatever. One way or another, you solve it. So now you know that the situation is solved, that you are organized to prevent it from happening ever again. The walk to the fridge is a path to serenity again. You KNOW it’s going to be there or what to do, in case it’s not. “Fridge situation” gets detached from the failure mental construction and your subconscious mind re-labels it as something you don’t need to worry about anymore. You KNOW you’re in control of the situation. Same mental mechanisms apply to other definitely more important life situations. So when won’t you have the feeling of failure? In other words, what do you need to pay attention to in order to eliminate it without having to overcome or inhibit it? So how do you get there? 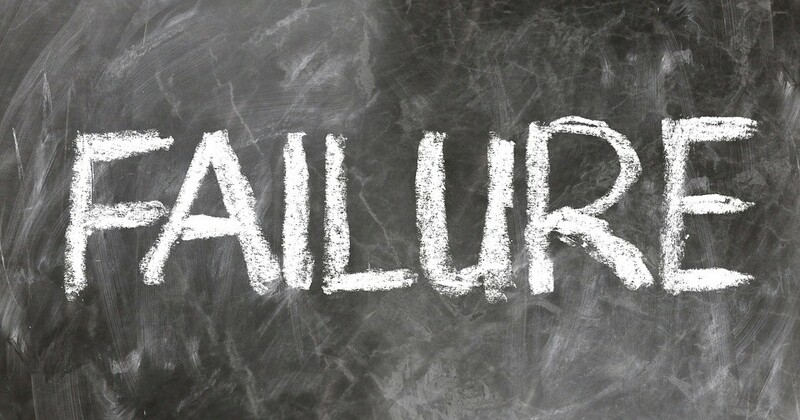 How can you shift from failure to success efficiently? How do you figure out things in a way that will make you feel CONFIDENT and NOT feel the fear of failing, at least in a certain sector of your life? Without having to inhibit it or overcome it? And what is the fastest way? The bad news is that a lot of situations have similarities we tend to not consider as such. So when we fail in one area, the fear of failure will contaminate numerous other areas, making things and life more difficult, full of anxiety and stress. The good news is that when you single out the real basic mechanism causing the difficulty, it will have positive repercussions in numerous areas of your life. Some clients I worked with stated more than once that this mechanism exceeded their expectations in a significant manner, improving their abilities to deal not only with situations they wanted to solve, but also with some others they weren’t even considering. Things just get easier, more natural with the right mental shifts. You don’t have to think about certain situations because you see how you can apply new notions over and over again. An “aha moment”. You don’t have to overcome or inhibit the fear of failure anymore, you just don’t feel it anymore. Let me give you some examples. Let’s say that when you were a kid you’ve never managed to get an agreement with your mother. Now you have a boss who’s got some personality traits similar to your mother’s and you can’t make her really listen to you either. And actually there are a lot of different people who don’t really get what you really wanted to say. Sometimes it might appear that they do and that feels good. But then their actions make you realize they didn’t get it at all. And that can be really annoying or frustrating. They might seem all different people with different traits, just a few of them have something in common. What can cause failure and how to solve it? Although the mechanism causing failure might change from person to person due to numerous factors, the most efficient thing you can do is to learn more of them, expand your horizons and your knowledge. That’s what personal development is about and it comes with a lot of unexpected benefits, even if you think that your expectations are already high. Or, here’s another example. Like most of us, your teachers at school started teaching you something without teaching you HOW to LEARN first and WHY you should learn some things, in the first place. And you were right when you had the feeling that some things they taught you, in the way they taught, were outdated even back then. Nobody ever told you HOW to study or maybe they did, but later on, when it was already too late to allow you get the most out of it, when you already had prejudices and your own learning habits. But are they the most efficient learning habits? Are you sure that they didn’t interfere with your ability to analyze things objectively? What if there are some misconceptions in something you are sure about? What if there are misconception in the way you see work, relationships, purpose, all those different feelings, especially the ones that could be defined as “emptiness”, “anxiety”, “yearning”, “stress”, “depression”? And what if some things you put the same label on were very different? And how can you trust your own judgment if that was the case? How do you know you’re really making progress and not wasting your time? Another good news is that you can. You can do that through learning or through practice. It doesn’t matter if you know how to learn efficiently, in this case. And practice is always one of the most efficient things you can do. If you do both, it is likely that you’ll get results faster. Get a mentor, a coach, a trainer, a consultant, a partner that will study and practice with you in order to make it faster. Or get a course. Whatever you decide to do, focus on feeding your mind with new notions and comparing them to what you already know. Don’t just store information, but “make it yours”. It is not a matter of accepting whatever somebody else tells you as undisputed truth that you need to learn by heart. It is a matter of taking it into consideration, browsing through your thoughts, associations and past experiences until it clicks and you get to see it from a different viewpoint. That’s the way you “make it yours”: you get an “Aha moment” that totally changes something, you get to see what you were doing wrong in a certain situation or even in several areas of your life, you realize how to do it right, you are sure about it and it stops bothering you. It is not easy, although it is worth it. That’s why hiring an expert who has already been there and figured it out, will make it easier and faster, if you choose one wisely. But whatever path you choose to learn something, if it doesn’t click, try to find what you’re missing out (if anything) and be aware that, unfortunately, there are a lot of useless and low quality “ultimate guides” and “teachings” around us. Don’t waste your time, move on on something that will click. You deserve more.